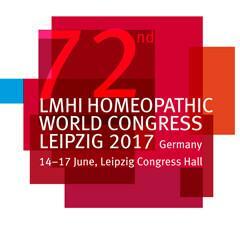 The German Association of Homeopathic Physicians (Deutscher Zentralverein homöopathischer Ärzte, DZVhÄ) takes great pleasure in inviting you to the 72nd Congress of the Homeopathic World Medical Congress of the international homeopathic medical society Liga Medicorum Homeopathica Internationalis, LMHI. It will take place in Leipzig, Germany, from 14 – 17 June 2017. This Congress will be the next homeopathic world medical congress held on the European continent. Homeopathy has great values and much potential to offer. Nevertheless, it continues to face new demands and great challenges worldwide. Therefore, the central theme of our congress will be the scientific and therapeutical networking of homeopathy with other medical systems and directions. We consider it as most important to foster an open dialogue among the medical disciplines and to exchange our experiences at eye level. In the focus of attention will be the benefit of the patient, especially those suffering from multimorbidity or severe chronic diseases. How can we contribute to provide individual therapies more easily in the future? To find answers to this question requires a medical system which is open-minded and free of prejudices. Our congress venue is situated in the heart of Leipzig, in the immediate vicinity of the famous Zoo. There are many reasons, why Leipzig offers best requisites for holding a homeopathic world congress: Here, Samuel Hahnemann began his medical university education in 1775, in 1811 he returned to Leipzig, gave lectures at the Leipzig University and had his practice. 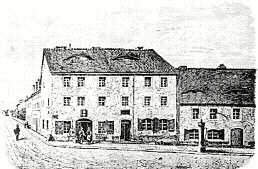 Ten years later, Hahnemann left Leipzig and settled down in Köthen (Anhalt). The Hahnemann Monument in Leipzig, unveiled in 1851, has been restored and can still be visited today. Cornelia Bajic, medical doctor from Remscheid, is the President of the Congress and DZVhÄ-president. She is also in charge of coordinating the scientific congress program with WissHom, the Scientific Society for Homeopathy, and of representing the event in the public and the media. Dr Katharina Tost, President of the DZVhÄ Regional Association in the State of Saxony (Landesverband Sachsen), is the head of the organisation committee. We are looking forward to welcoming you to the 72nd LMHI Congress in Leipzig in 2017!